eBay’s DSR scores or Detailed Seller Rating scores are important to anyone buying and selling on eBay. Buyers look at your DSR to determine whether or not to buy from you, so it is important as a seller to do your best to keep those DSR scores up. Communication is one of eBay’s DSR score areas, and is also an essential part of buying and selling on eBay. It is especially important as the seller to have good open communication. The first communication you have with a buyer is usually just after they have purchased an item from you. 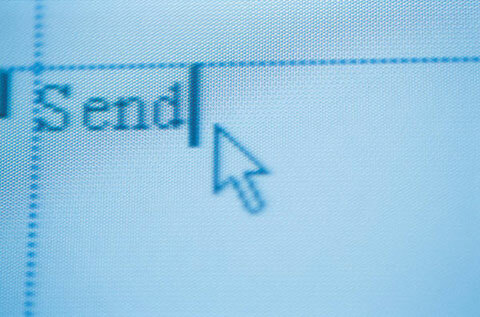 This first email can set up a good relationship, one that will ultimately win you future sales and repeat buys. You should also strive to keep communication open at every step of a sales transaction, and even beyond. If you are like me you get excited with each sale you make, and are thrilled anytime something sells for a price higher than anticipated. On the other end, the buyer may be doing the same thing. They are ready to have that item in their hands as soon as they have payed for it. – In the first email, after I have received payment, I thank the buyer for their business and confirm that I have received their payment. – When preparing an item for shipping, be sure to wrap it neatly and include a hand-signed receipt and thank them again. If a buyer has bought multiple items from me, I sometimes include an eBay gift certificate to show my appreciation for their business. eBay gift certificates can be bought for as little as $5.00, and can be either emailed directly to the recipient or you can print it and mail it yourself. – You next step is to send another email and clearly state your expectations for shipping times. This should be done soon after confirming receipt of payment. If you do not ship on weekends, be sure to let the buyer know this in the email. Use your eBay Selling Manager to personalize your ‘shipping notification’ with the buyers name by using the email auto text feature. – Keep your communication prompt and clear – respond to buyer emails and be proactive in providing order status updates when needed. Email the tracking number, or if using UPS or USPS for shipping use their option to provide an email address so the buyer gets automatic updates on their order status. – Once you receive confirmation that the buyer has received the item, be sure to send a follow up email to thank the buyer one last time. You can also use this email to invite the buyer to check out your other items, and to add you to their favorite sellers and/or stores list so they can receive updates on any new or special items you list. Once you begin to build your emailings list, take advantage of eBay’s email marketing tool. This is a remarkable tool and can be fully automated. Mine is set to send out weekly emails that show any items I have newly listed. Before long you should begin to see repeat buyers.